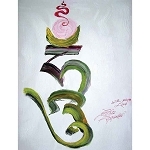 Place this card above your door in order to benefit from the two main mantras it features: "OM HANU PAHASHA BHARA HE YE SVAHA," when once seen purifies 100,000 eons of negative karma and obscurations; and the Wish-Granting Wheel mantra, "OM PADMO USHNISHA VIMALE HUM PHAT," when once passed under purifies 1,000 eons of negative karma and obscurations. 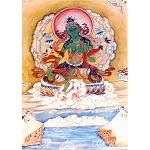 Designed by Lama Zopa Rinpoche, this card affords an easy way for all beings to purify the cause of samsara. Rinpoche has these mantras above most of the doors in His house! Rinpoche reminds his students that beings only receive the benefit of these door blessing mantras if they walk directly underneath them. 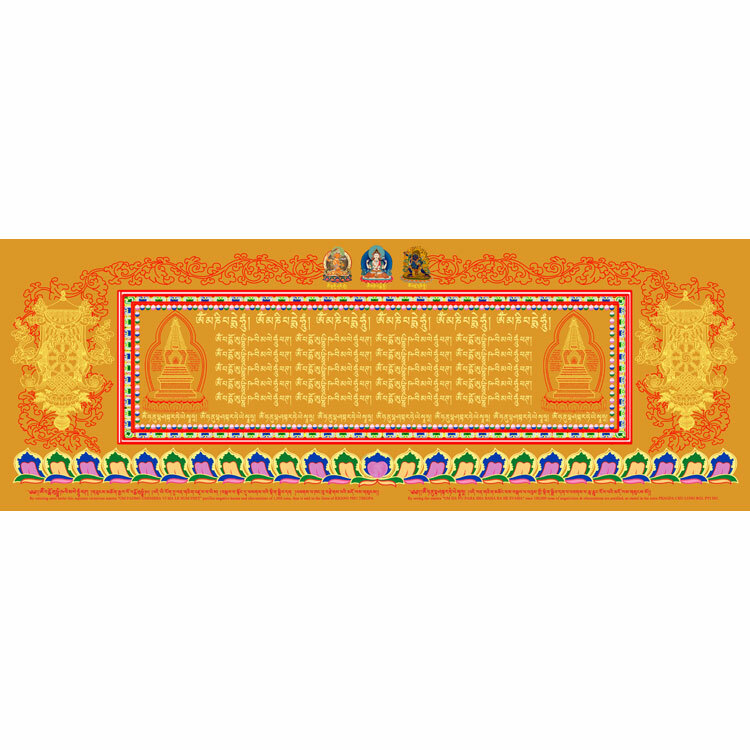 With that in mind, Rinpoche recommends that students should print out the mantra card large enough, or, acquire a sufficient number of pre-printed mantra cards, to take up the width of the door frame. 11.5 x 4.5 inches (29 x 11 cm) approx. Click here for downloadable poster version.